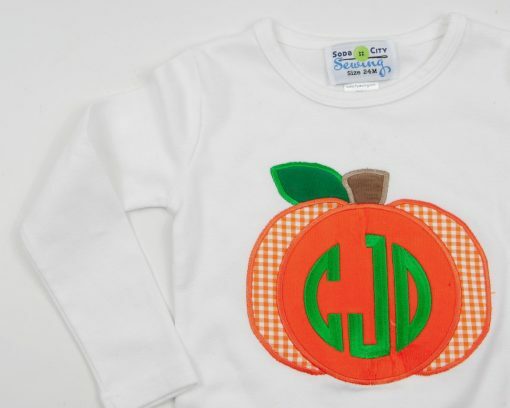 Girls white long sleeved shirt with appliqued pumpkin. Add initials to the pumpkin by adding a monogram. The orange gingham skirt is a perfect match. You can order the complete outfit, or just the top or skirt. Price adjusts in bottom right corner based on your selections. Shipping Class A (see shipping options in cart at checkout). Our girls pumpkin shirt or bodysuit can come monogrammed with her initials for the perfect outfit for a trip to the Fall Festival, Pumpkin Patch or Thanksgiving festivities. Choose to get the shirt, skirt, or both for a complete set! The skirt may go with other shirts you already own for after the Fall season. Choose to leave the pumpkin plain, or include initials for a personalized touch! The skirts are made of 100% cotton gingham with a corduroy contrast band at the hem. They have elastic waist for an adjustable fit- they may last through two seasons! The tees and bodysuits are 100% interlock cotton and super soft to wear. Our girls fit tees are fitted, and include smaller bands at the sleeves and neckline for a flattering look! 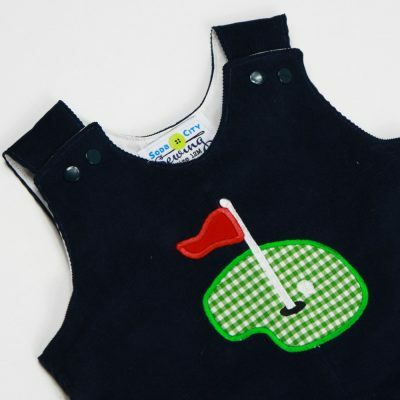 Our outfits are completely machine washable and dryer safe. You can wear it often and with confidence, knowing that our high quality fabrics can be washed again and again. 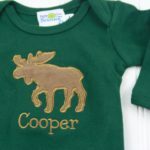 Bodysuits are only available in 3 mo, 6 mo, 12 mo, 18 mo. 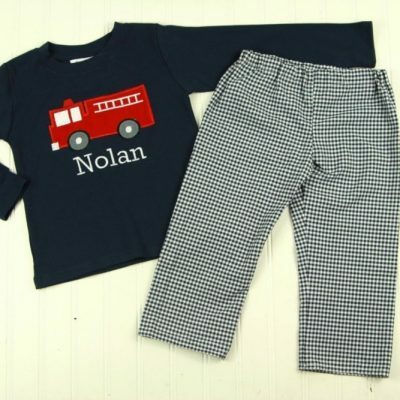 Shirts come in size 24M, 2T, 3/4T, and 5/6T. Skirts come in every size. Our outfits are pretty true to size, but if in doubt please go up! You can find the measurements of the outfits at www.sodacitysewing.com/fontsizing . Compare these measurements to a well-fitting outfit she already has! OPTIONS: You can order the top, add initials, and/or add the skirt. If you select No shirt or No Skirt it will take that amount off of your total, the price adjusting in the bottom right corner. This outfit is largely handmade and is shipping rate A. 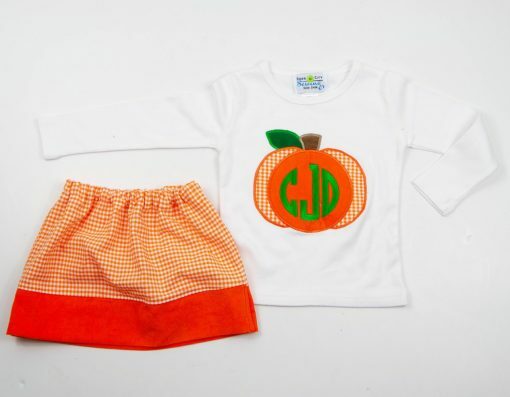 The skirts are completely handmade, and the shirt is embellished with applique and monogram to order. This means the cheapest shipping gets you the outfit within 2 weeks. If you need it faster there are several shipping upgrades available to get it in as soon as 5 days, 1 week, & 1.5 week during checkout!